When cult Korean beauty brand Neogen collaborate with Joan Kim, one of Korea’s most popular beauty influencers, you just know the skin care product is going to be uhmazing. 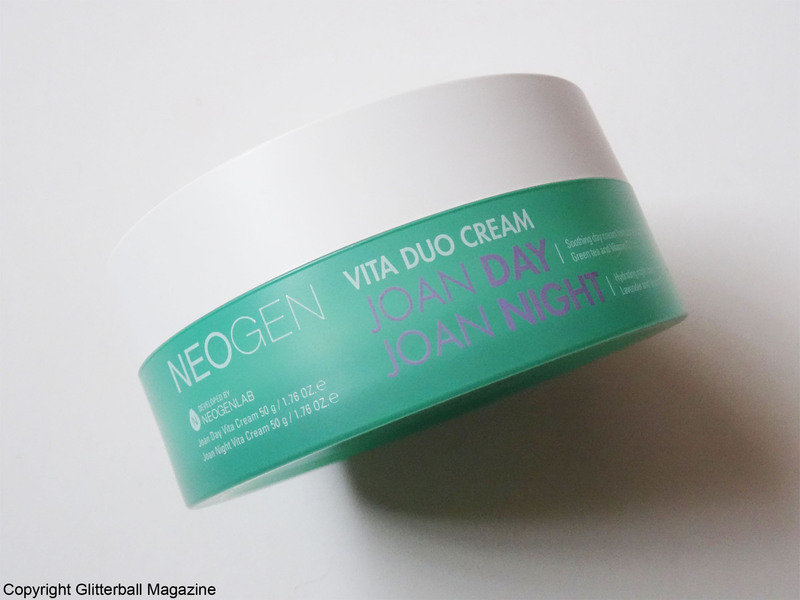 The Neogen x Joan Kim moisturiser, Vita Duo Cream is made up of two creams, the Joan Day Vita Cream and the Joan Night Vita Cream. First of all, can we take a moment to talk about the super cute packaging? I love the beautiful seafoam green shade! 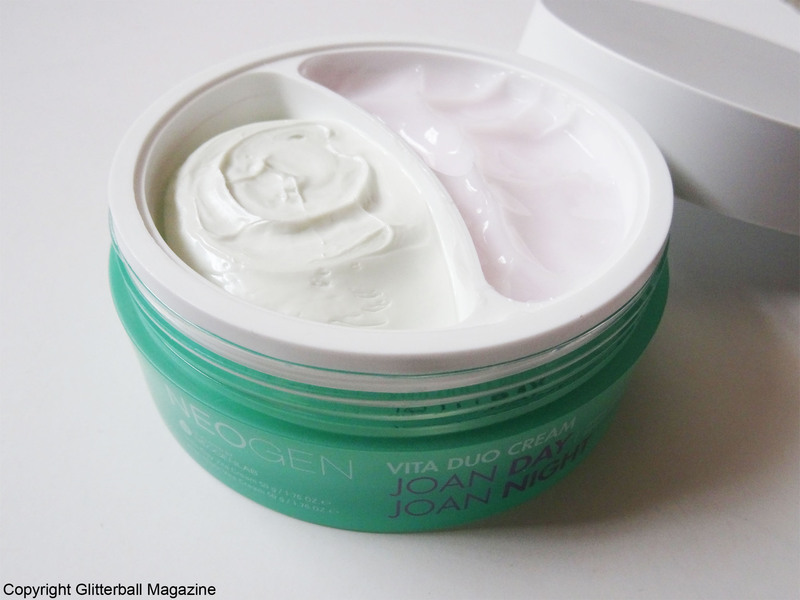 The Joan Day Vita Cream aims to hydrate skin with key ingredients vitamin C and green tea. Vitamin C plays a vital role in brightening skin to encourage a youthful glow, while keeping skin firm and less prone to fine lines and wrinkles. In addition, vitamin C protects skin from other signs of UV damage such as dehydrated skin and hyperpigmentation. Green tea is a well-known antioxidant packed with polyphenols to help even out skin tones and shield skin from harmful UV rays. Note: it’s still VERY important to wear a high factor sun cream every day. I’m obsessed with the Day-Light Sun Protection Sunscreen SPF 50/PA +++ from Neogen which smells gorgeous and is easy to layer under make up. Green tea is one of the most effective skin care ingredients to help with rosacea by calming facial redness and reducing inflammation associated with the skin disorder that affects 1 in 10 people in the UK. This delightful moisturiser with green tea and vitamin C from Neogen purifies skin and provides moisture throughout the day. Other ingredients in the Joan Day Vita Cream include coptis japonica extract, allantoin and sodium hyaluronate for extra hydration. 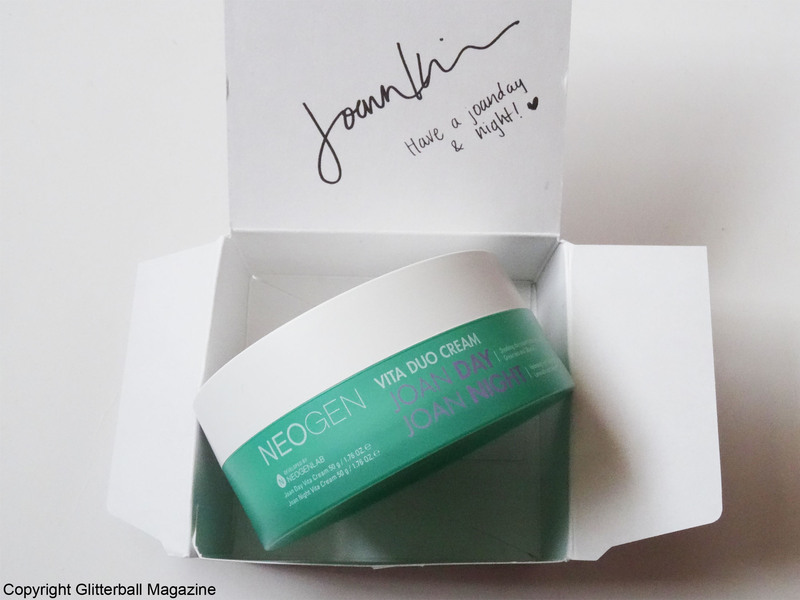 The Joan Night Vita Cream is packed with lavender and vitamin E to repair the skin’s natural barrier overnight. The main benefits of vitamin E include protecting skin from UV damage and air pollution, softening skin and tackling signs of ageing like fine lines, wrinkles and moisture loss. Lavender is a brilliant ingredient to include in skin care products thanks to its anti-bacterial and anti-inflammatory properties. I love how easy this moisturiser is to apply, it even comes with a handy plastic spatula. 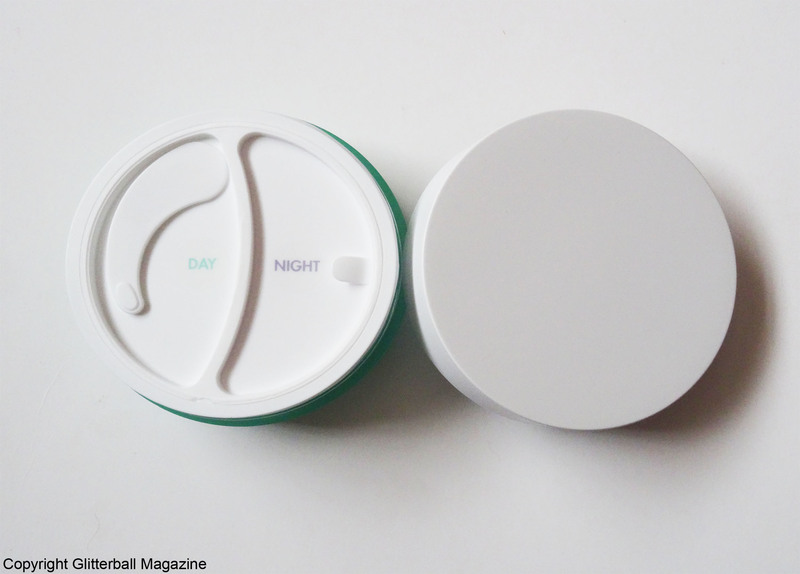 The day and night creams are clearly labelled on the inner lid so there’s no confusion. 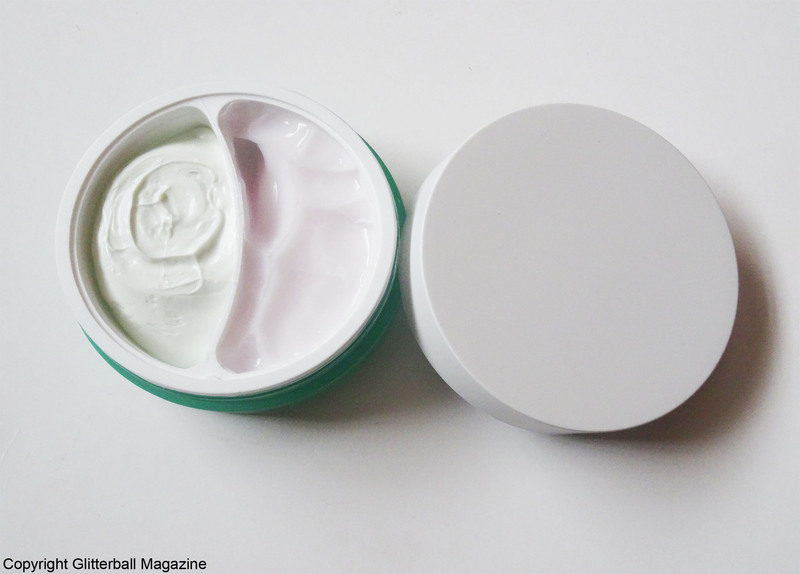 Although they’re contained in separate compartments, it’s important to ensure the inner lid fits the groove properly to avoid the creams mixing. If you have a multi-step skin care routine, you’ll know the importance of using lightweight products that are easy to layer. Who has time to sit and wait for heavy creams to be absorbed, right? 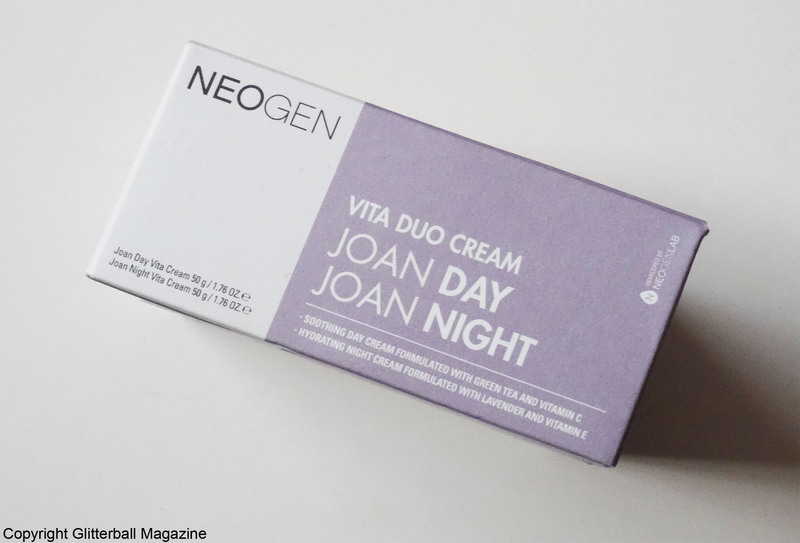 Thank goodness the Neogen Vita Duo Cream Joan Day Joan Night ticks both of those boxes. In the morning, I wait a few minutes for my serum to settle into my skin and tap an appropriate amount of the Joan Night Vita Cream into my skin. With a fantastic lightweight texture, this cream melts into my skin in seconds and offers instant hydration. 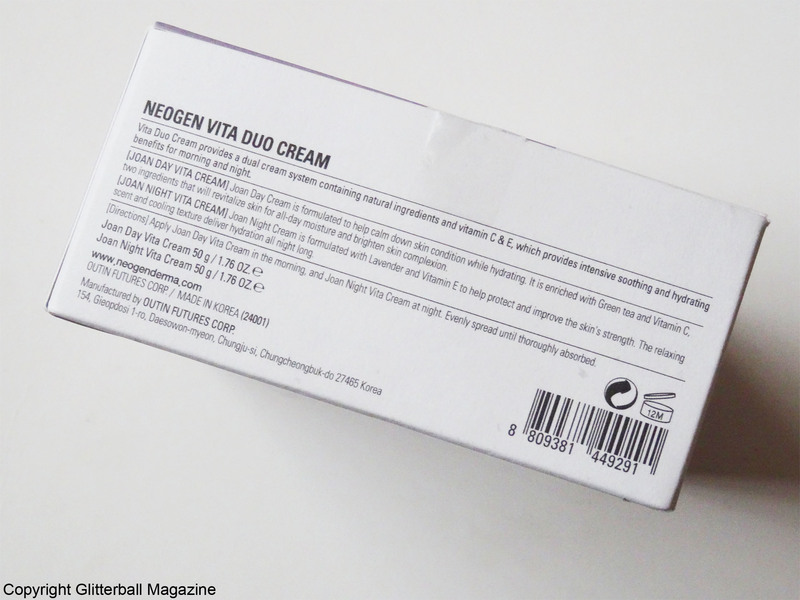 It’s no wonder this product has already sold out on Neogen’s website! Following the same steps in the evening, I tap the Joan Night Vita Cream into my skin after one of my serums. It’s no secret that lavender is excellent for getting quality sleep by acting as a relaxant and this has a wonderful lavender scent. It doesn’t feel greasy and has a watery texture that gives me a dewy complexion when I wake up. My skin looks firmer and any signs of dry skin are banished. Hurrah! This is the first product I’ve tried from a Korean skin care YouTuber and I’m very impressed! 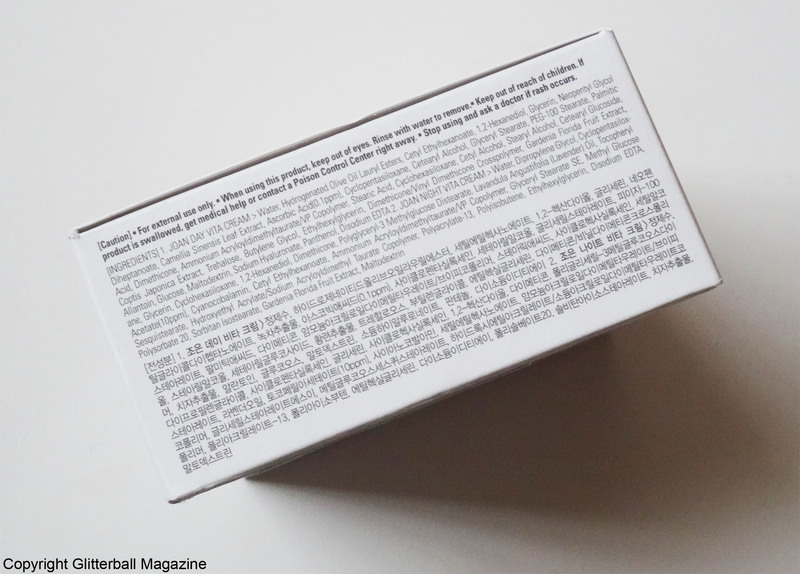 Find out how I add a beauty step for my neck in my daily routine and check out my review of the Ageless Throat and Decolletage Crème from Prai.